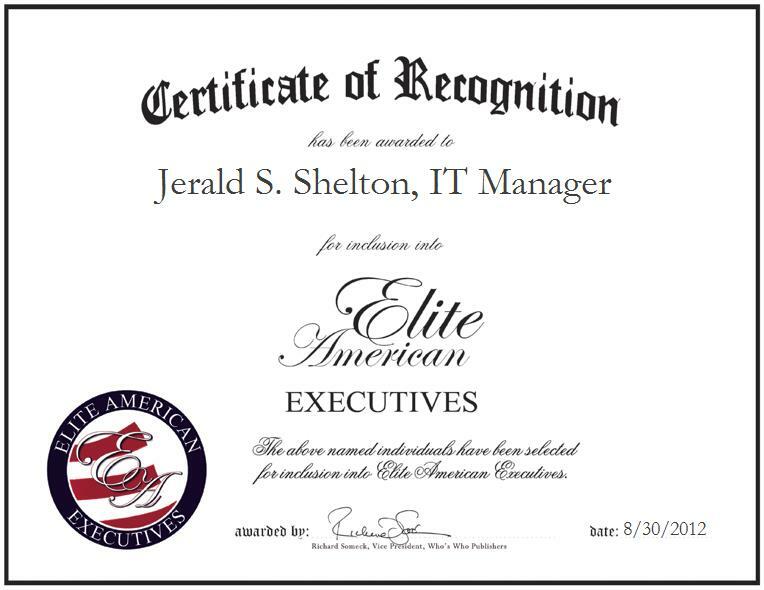 EUNICE, NM, August 30, 2012, Jerald S. Shelton, IT Manager and Head of UUSA IT at URENCO, has been recognized by Elite American Executives for dedication, achievements, and leadership in information technology. At the helm of the information technology department, Mr. Shelton shines as an expert in mechanical engineering and IT services, positioning himself as a luminary in his field, in a capacity for which he is responsible for the oversight of one of the nation’s foremost information technology divisions. Mr. Shelton possesses more than 31 years of professional experience, and he feels that sheer tenacity has enabled him to thrive in his industry. Mr. Shelton has been with URENCO Global Company for five years. He built the IT Department at URENCO from ground zero, at a time when the company had no processes, procedures or structure, like a blank sheet of paper. He has been in the industry for more than three decades, and prior to joining the UUSA IT division of URENCO, he served Lockheed Martin.